It’s been a long, hard road. It’s been a difficult campaign. But in less than 24 hours, it’ll all be over. I have never been this passionate about an election before in my life. I’ve voted in every Presidential election since I turned 18 in 1988. Over the years I’ve evolved from a fairly independent voter to a pretty rabid Democrat. Maybe my coming out as a gay man had something to do with that, or maybe I just learned more about the political process over the years and made my choices about which side I agreed with most. Either way, I’m very sure about what I believe in these days. In the past few weeks, I’ve actually had a couple of friends– who are Republican– try to get me to either change my mind about my decision, or to explain why I made my decision. And for whatever reason I couldn’t give them a clear answer at the time. Either I was busy working at the time, or I felt like I was being put on the spot, which, frankly, annoyed the crap out of me and made me not want to answer their question at all. So for them, and maybe for myself, here are a few of the reasons I’ve decided to vote for Barack Obama on Tuesday. 1. Barack Obama is ready to lead. Barack Obama embodies the kind of leadership I want to see in Washington. He represents a step forward: A clear thinker, a sound policy man, and an inspirational leader. I believe he will be tough when he needs to be – whether that be in terms of the defense of our nation, domestic crime, or in the face of potential enemies or terrorists; and I believe he will be sensitive to the needs of others; particularly the struggles of families trying to make ends meet, or the rights of the disadvantaged. Many have criticized his “lack of experience,” and say that this will make him a poor president. I think they are completely missing the mark. A leader is not defined by his or her résumé. Sometimes a leader has the ability to lead naturally. I believe this about Barack Obama. I also believe that a good leader is one who knows how to build the right team to support him. For a good leader knows that he or she cannot do everything himself. Barack Obama is that sort of leader. I believe that he will build one of the strongest cabinets in the history of our nation. This team of leaders will work to propel our country out of the mess we are currently in and help us move forward and upward. That’s what “Change” is all about. That’s why he’s the man for the job. 2. Barack Obama is a better friend to the LGBT community than John McCain. I’m not saying he’s perfect– in fact, he’s not. But you know what? Nobody is. I just happen to believe that Barack Obama is better for me as a gay man than John McCain will ever be. I believe that under Barack Obama’s leadership, the Don’t Ask, Don’t Tell law will be repealed, and gays and lesbians will finally be able to serve in our nation’s military. I also believe that the rights of LGBT people will be upheld by the courts, and LGBT people will not be relegated to second-class citizen status. While I do not agree with Barack Obama’s views on gay marriage, he is open to allowing the states to make those decisions on their own – which, in truth, is exactly how it should be anyway. The Federal government should have absolutely no hand whatsoever in deciding who can marry and who can not. Of course, the fact that anyone can decide who can marry whom is preposterous to me; but in the grand scheme of things, this works better. On the other hand, McCain, and especially his running mate, Sarah Palin, have repeatedly espoused their lack of support for LGBT causes. Palin, in fact, went so far as to say she “tolerates” gays. Pardon me for being frank here, Ms. Palin, but I don’t want to be “tolerated.” I want to be treated like any other human being, regardless of his or her orientation. Finally, on every possible front when it comes to LGBT issues, McCain has proven he is absolutely not a friend to the gay community. I can’t support a candidate that believes these things. Because of this, I can only support one candidate for President: Barack Obama. 3. Pardon me for quoting Oprah here, but Barack Obama is, truly, a brilliant man. Barack Obama has a law degree from Harvard, and was the first African-American president of the Harvard Law Review. In addition to numerous undergraduate credentials, that is a pretty hefty sign of brilliance. John McCain’s credentials don’t hold a candle to Obama’s in this regard. He got into politics and made a name for himself by fighting for the rights of the impoverished and the downtrodden, passing laws in the Illinois Senate such as the Earned Income Tax Credit and early childhood education systems. Those two pieces of legislation alone did more to help families in Illinois to live better lives and achieve their goals easier. And while his time in the US Senate has been short, he has already shown great promise by working on such items as reducing weapons of mass destruction around the world, and advancing the use of alternative fuels instead of foreign oil. It’s easy to say that his record in the US Senate doesn’t prove enough of what he can do– I say it does. 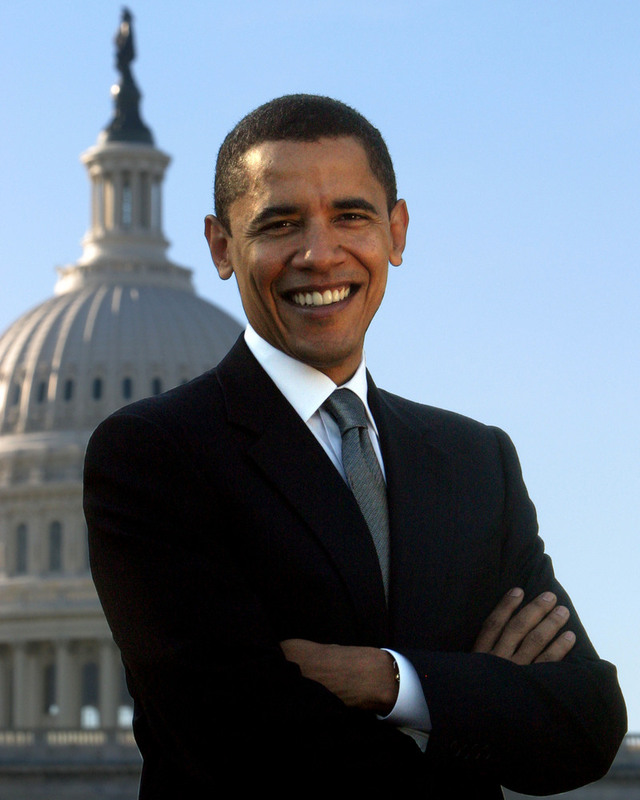 Barack Obama is young, energetic, and full of innovative ideas. What better time to tap that energy as the leader of our nation? I say the time is now. We certainly can use some innovation, after years of the same old policies and direction we’ve had. I could go on with many, many more reasons, but this post would then be too many pages long. Suffice it to say, I have done my homework and Barack Obama has my vote. I realize he’s not perfect. He himself said he can’t be the perfect President. There is no such thing. Nobody will EVER be perfect. But I truly believe in my heart and my mind, that he is the best choice for the job. So on Tuesday morning, I will probably stand in a very long line at my polling place, and I will vote for Barack Obama for President. I can only hope that you will, too. But that’s your choice to make.